Innovation in medical technology generates a remarkable supply of new drugs, devices, and diagnostics that improve health, reduce risks, and extend life. But these technologies are too often used on the wrong patient, in the wrong setting, or at an unaffordable price. The only way to moderate the growth in health care costs without undermining the dynamic of medical innovation is to improve the process of assessing, pricing, prescribing, and using new technologies. 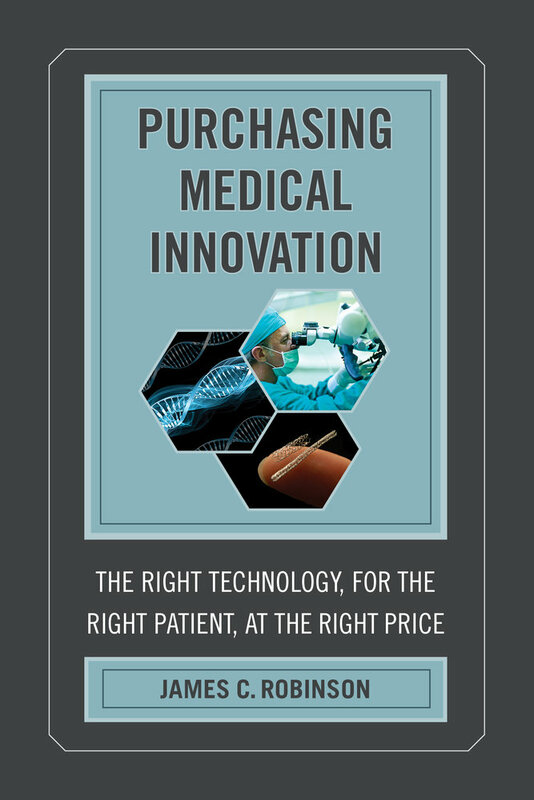 Purchasing Medical Innovation analyzes the contemporary revolution in the purchasing of health care technology, with a focus on the roles of the Food and Drug Administration (FDA), Medicare and private health insurers, physicians and hospitals, and consumers themselves. The FDA is more thoroughly assessing product performance under real-world conditions as well as in laboratory settings, accelerating the path to market for breakthroughs while imposing use controls on risky products. Insurers are improving their criteria for coverage and designing payment methods that reward efficiency in the selection of new treatments. Hospitals are aligning adoption of complex supplies and equipment more closely with physicians’ preferences for the best treatment for their patients. Consumers are becoming more engaged and financially accountable for their health care choices. This book describes both the strengths and deficiencies of the current system of purchasing and highlights opportunities for buyers, sellers, and users to help improve the value of medical technology: better outcomes at lower cost. James C. Robinson is Leonard D. Schaeffer Professor of Health Economics and Director of the Berkeley Center for Health Technology at the University of California, Berkeley. His articles appear in a broad range of scholarly, medical, and journalistic publications, including Health Affairs, JAMA, and the Wall Street Journal. Dr. Robinson brings real-world experience to academic and policy debates and scientific rigor to the professional and industry world.